For over two decades, Television has served as the foremost guide to television studies, offering readers an in-depth understanding of how television programs and commercials are made and how they function as producers of meaning. 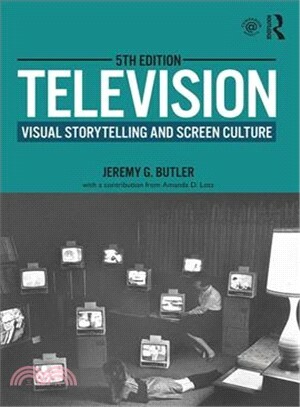 Author Jeremy G. Butler shows the ways in which camera style, lighting, set design, editing, and sound combine to produce meanings that viewers take away from their television experience. An entirely new chapter by Amanda D. Lotz on television in the contemporary digital media environment. Discussions integrated throughout on the latest developments in screen culture during the on-demand era—including the impact of binge-watching and the proliferation of screens (smartphones, tablets, computer monitors, etc.). Updates on the effects of new digital technologies on TV style. Jeremy G. Butler is Professor of Journalism and Creative Media at the University of Alabama. He has taught television, film, and new media courses since 1980 and is active in online educational resources for television and film studies.